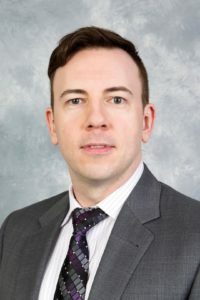 I’m pleased to have author James J. Cudney from New York City here to speak about his writing and new release, Academic Curevall that’s on blog tour with Escape with Dollycas into a Good Book. He’s asked me to call him Jay because he’s actually the fourth in a direct line with his name. Nice to meet you, Jay. I’m a Long Islander, so we don’t live too far from one another. How long have you been published? What titles and/or series have you published and with which publisher? Have you self-published any titles? Please give details. My debut novel, Watching Glass Shatter, a contemporary family drama about a woman who loses her husband in a car accident and learns a huge secret about one of their 5 adult sons, was published on October 8th, 2017. Over the last 15 months, I’ve published another 3 books all with Creativia Publishing. My second book, Father Figure, is also a contemporary drama and was published in April 2018. It alternates perspectives and stories between two college-aged girls who struggle through life over two different decades. Readers have to figure out what their connection is, but more importantly, which of them will survive in the face of major trauma. 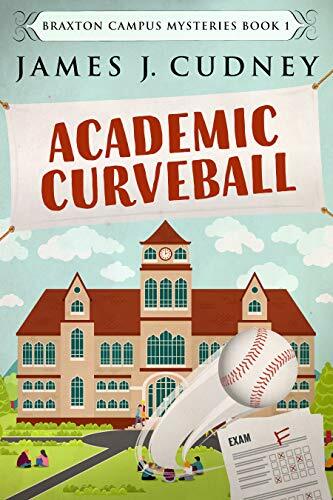 My third and fourth books are the Braxton Campus cozy mystery series: Academic Curveball (1) and Broken Heart Attack (2) both published in the fall of 2018. I haven’t self-published anything and am happy with Creativia. We shall see what the future holds for us! Sounds great. I’ve never heard of Creativia before. I publish with Solstice Publishing and have been happy with them, but I’m always interested in hearing about authors’ experience with other publishers. Tell us a little bit about your books — if you write a series, any upcoming releases or your current work-in-progress. If you have an upcoming release, please specify the release date. Flower Power Trip, the third in the series, picks up from the cliffhanger dropped at the end of the second book, with Ursula and the secret she shares with Kellan. How will he help his new boss while hoping he doesn’t cause problems with his other boss, Myriam, who just so happens to be Ursula’s wife! Not only that… Kellan’s brother, Gabriel, has been found and has a secret of his own that only Kellan knows. Will he keep it or share the truth with the rest of their family? And let’s not forget about what Kellan’s former mother-in-law called to tell him at the very end of Broken Heart Attack. If you thought the cliffhanger in book 1 was a doozy, just wait until you see what happens next. I want to write everything forever. Is that achievable? No, unfortunately, so I have to figure out the best order. My 2019 goal is to write 2 more books in the Braxton Mysteries and 1 or 2 other stand-alone novels… well sort of… I am planning a sequel to my debut novel, Watching Glass Shatter, where the Glass family hopes they can recover from the fallout in the first book. But they won’t. What happens in book two will be far worse. I do like to torture my characters, don’t I? The 4th book is a collection of related stories written in a unique format and with a varied approach on genres. My hope is to continue this pattern for a few years… a few cozies each year and a stand-alone family drama. I have 4 book plots fully fleshed with outlines, but I never know which one will be the most attractive to begin writing at the time. As a writer, my goals are fairly simple – to create characters and plots people connect with and want to share with others. I tend to prefer book series because I can invest in settings and characters, but it also helps build a larger readership. To achieve these goals, besides writing, I’m also an avid reader. I tend to read 3 books per week: usually 1 cozy, 1 contemporary drama, and 1 other. The other ranges from science-fiction to YA and everything in between, so I can stay current on trends but also connected to newer readers. I, too, like to vary my writing and reading. In addition to my Cobble Cove mystery series, I write standalone mysteries and hope to start another new series soon. I’m most definitely a plot writer. Readers who enjoy my books need to thirst for clever plots, cliffhangers, surprise twists, and long-term relationships / secrets. From there, it’s about creating characters who feel thoroughly real. I want it to seem as though (s)he is sitting next to you telling you the story. I’m also a relatable writer. What I mean by that is I tell stories and focus on situations that we’ve either experienced or can understand. To me, my book is a conversation with the reader. I picture myself reading it aloud while the reader sees and hears it happening between us in the room. Sometimes I go overboard with descriptions. Sometimes I get a little formal in dialog. But this is who I am as a person in reality, so it is how I write, too. There is always depth, rarely fluff. I like fluff, but I’m not good at writing it. I like multi-dimensional, complex characters. Sounds like you offer a reader quite an immersive experience. Authors have to make decisions. Do they want money and fame, or do they want to tell stories to make people feel various emotions? You can do both, but it’s not easy to achieve. If you set your mind only to achieve both, you will struggle and have a difficult life. If you can accept it, then go for it. If you cannot, then find a compromise in the beginning. Is writing your only source of income, or do you have your bills and expenses covered in other ways (partner, spouse, family, etc.)? Once you know these parameters, then decide how much you want to market and advertise for yourself. You can choose to self-publish or find a smaller press without an agent. You can wait for the big break and focus only on finding the agent. There are dozens of ways to make it happen, but you need to understand the impact and responsibilities associated with each one. You need to know what kind of a person you are and what your strengths are before you choose a specific path to get there. I knew I wanted to publish a few books but that I had no contacts in the industry. While I was writing, I began blogging. I posted reviews of every book I read in the last ten years that I could remember. I built up a readership (a few hundred people at first) just so I could test the waters. I connected with some of them more than others and felt comfortable sharing bits and pieces of my story. After 6 months, I suddenly had a thousand followers. One thing that is critical for bloggers or writers to understand – you can’t just put content out there and expect people to follow. It’s not like that saying, “Build it, and (s)he will come.” You need to interact with others. LIKE their content. Comment on their content. Share their content. Chat with them as you would with someone you met in a bar, coffee shop, club, work, or park. Build your connections, develop relationships. Then, when you have a book to publish, you might have a few people who like your style and are willing to help promote for you. It’s rare success happens quickly for new writers. It takes years in most cases depending on your definition of success. I’d love to be on all the TV shows, best seller lists, and top viral or digital sites, but I’m not there – YET! In the meantime, I’m thrilled with all the connections (close to 7k at this point) I’ve made and new authors and readers I get to know. It took me a while to figure out the balance of writing, editing, marketing, reading, and networking. And it isn’t always the same split, but at least I now understand how it works and can adjust my scheduled when needed. That’s critical for new authors looking to make some sort of splash or find some sort of break. I agree that balancing all the parts of writing, publishing, and promoting is a challenge for authors. I do not. I had to decide what I had time for and didn’t have time for. There are only so many hours in the day. I have a group of wonderful beta readers who help me with my books, and I beta read for a few folks I’ve come to know through their blogs. It provides me the same sort of experience as a writing group without a formal date, time, and place to meet. Writing groups aren’t for everyone, and beta readers are very helpful. Genealogy! I love to find new ancestors. I’ve got ~3k at this point and traced most of my roots back to Germany, England, Scotland and Ireland. I love to cook. I have a young shiba inu dog, Baxter, who takes up a lot of my time. And I like to travel and read a lot. Nice hobbies. I can see how Genealogy would be an interest with so many generations of James Cudney’s. I don’t like the sales stuff. Even in business, I’ve never been the kind of guy to push a product or company. I prefer to lay out the pros and cons, then let the true owner or decision-maker decide. As an author, that doesn’t work. I can’t send a list of books to readers saying what’s good and bad about mine and others… so I post about my book, share when it’s free or discounted, put a call out for beta or ARC readers, etc. I try not to email directly to ask someone to read it. My toughest challenge is the in-person stuff. I’m fantastic at finding new avenues through social media or digital technology. But I can’t figure out the best way to get set up with book signings, store connections, or awards and magazines. I probably need help in that realm when I’m ready to spend more marketing dollars on that area of focus. Many authors find different areas of marketing challenging. The readers are an amazing group of people. There are so many styles and themes, it’s a prolific place to be. I love writing about a consistent group of characters but revealing new details about the same setting or supporting cast – evolving with each successive book. The mystery aspect is also such a fun adventure. I can create bad characters and punish them for things they’ve done without actually doing anything more than writing a cruel death scene. (Think of all those people who bug us, and we wish we could give them a taste of their own medicine!). Coming up with clever murder plots or weapons, building fake alibis, finding a balance between witty and serious… it’s all a writer’s dream. Writing cozies is definitely as fun as reading them. I’m beyond grateful for your help and support. It’s a long and difficult process for writers to become successful within a market already flooded by talented authors. When readers take personal time to share their experiences through reviews, blog posts, marketing, and social media, it truly makes a difference. I do this for writers myself, so I understand what it takes. I read and review 3 books each week and try to promote them as much as I can so I can help their sales and careers. Thank you for all you do to help us in return. It’s always great to meet a fellow author who promotes other authors. Thanks so much for the interview, Jay, and I’m sharing the info on your blog tour and rafflecopter below. Good luck with your series and future books. When Kellan Ayrwick returns home for his father’s retirement, he finds a dead body in Diamond Hall’s stairwell. Unfortunately, Kellan has a connection to the victim, and so do several members of his family. Soon after, the college’s athletic program receives mysterious donations, a nasty blog denounces his father and someone attempts to change students’ grades. Someone is playing games on campus, but none of the facts add up. With the help of his eccentric and trouble-making nana, Kellan tries to stay out of the sheriff’s way. But who is behind the murder? Thank you so much for turning our conversation into a fantastic blog post for others to read. I loved it. I also am glad to meet you and look forward to checking out your mystery series. It’s always fun connecting with another author. Much gratitude. Thanks, Jay. I enjoyed connecting with you, too. Best wishes on your book tour.